Click on a thumbnail graphic to view a gallery of snowpack data from the NRCS, Note that yesterday’s widespread snowfall is not included. Statewide Basin High/Low graph April 10, 2019 via the NRCS. Arkansas River Basin High/Low graph April 10, 2019 via the NRCS. Upper Colorado River Basin High/Low graph April 10, 2019 via the NRCS. Gunnison River Basin High/Low graph April 10, 2019 via the NRCS. Laramie and North Platte Basin High/Low graph April 10, 2019 via the NRCS. Upper Rio Grande River Basin High/Low graph April 10, 2019 via the NRCS. San Miguel, Dolores, Animas, and San Juan Basin High/Low graph April 10, 2019 via the NRCS. South Platte River Basin High/Low graph April 10, 2019 via the NRCS. Yampa and White Basin High/Low graph April 10, 2019 via the NRCS. And here’s the Westwide SNOTEL basin-filled map for April 10, 2019 via the NRCS. Giddy would not necessarily be too strong of a description of the mood at the National Weather Service in Salt Lake City, where water managers, hydrologists and storm forecasters and others reviewed the current mountain snowpack and talked of more moisture to come. “It’s been a pretty good snowpack year,” said Troy Brosten, Utah Snow Survey supervisor with the U.S. Department of Agriculture’s Natural Resources Conservation Service. 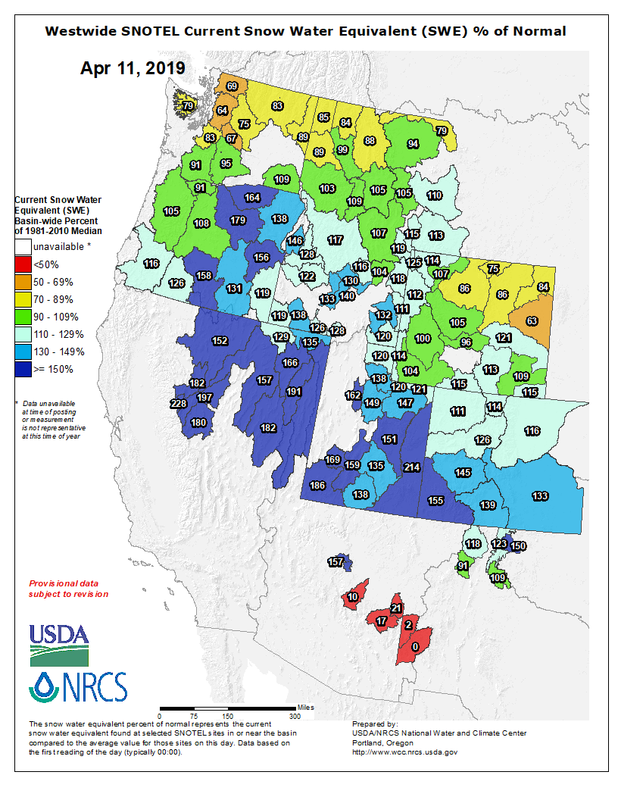 During a briefing [April 9, 2019], Brosten pointed to snowpack numbers across the state that are anywhere between 104 percent of average to a whopping 197 percent of average in southeastern Utah, which was bone-dry last year and bore one of the country’s most significant drought designations. “It will be active, unsettled and colder than normal,” said Glen Merrill, meteorologist with the National Weather Service in Salt Lake City. With the exception of Red Fleet, which struggled with low flows, and Strawberry — which is huge — the state’s reservoirs should fill, Henrie said. Henrie noted that a few months ago he didn’t think he’d be paying much attention to the charts showing how quickly reservoirs are beginning to fill, but the storms changed that. Ideally, the snowpack comes off in an orderly fashion — but McInerney said what is to come in May is anybody’s guess at this point. 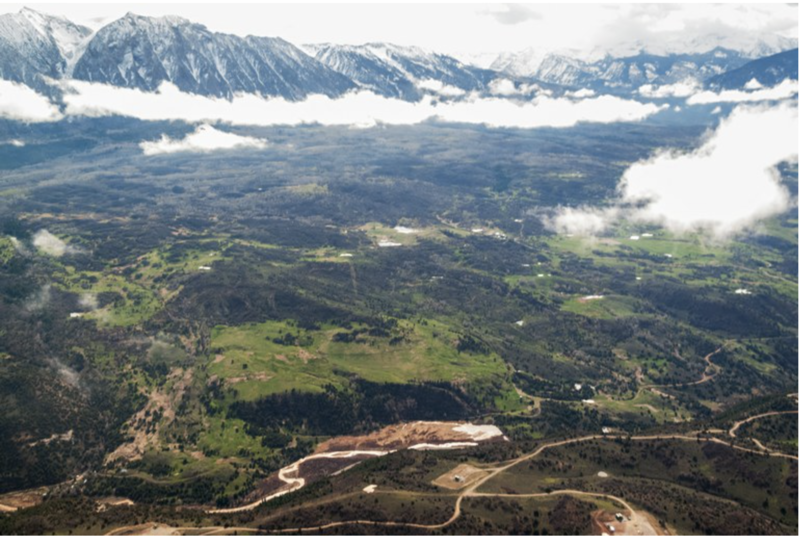 According to a press release from Pagosa Area Water and Sanitation District Manager Justin Ramsey, the recorded snow water equivalency (SWE) totals have dropped .01 inches, going from 40.6 inches las week to 40.5 inches this week. Overall precipitation, though, has increased from last week, going from 39.1 inches to 43.2 inches. The SWE median has increased, going from 30.2 inches to 31.6 inches this week. Since Jan. 28, the SWE percent- age of median has increased each week; however, that trend came to an end this week with a reported drop of 6.2 inches, going from 134.4 percent of median last week to 128.2 this week. The precipitation percentage of average has increased from last week, going from 121.4 percent of median to 127.8 percent of median. The precipitation average is currently 33.8 inches, when last week it was 32.2 inches. For lake levels, four of the five lakes measured are full this week, with the exception of Stevens Lake, which is 72 inches from full. Hatcher Lake, Lake Pagosa, Vil- lage Lake and Lake Forest are all noted as being full this week. Last week, Lake Pagosa, Village Lake and Lake Forest were all full while Hatcher Lake was 16 inches from full and Stevens Lake was 103 inches from full. Total cumulative available lake water for treatment and delivery this week sits at 90.6 percent when last week that total was 86.3 percent. Total diversion flows remain at 5 cubic feet per second (cfs), with the West Fork and Four Mile diversions contributing 2 and 3 cfs, respectively. Four Mile flows are still being diverted into Stevens, the press release notes. From March 22 through March 28 this year, water production totaled 13.17 million gallons. Last year during that same time, water production was listed at 10.29 mil- lion gallons. From March 22 through March 28 of this year, the Snowball water treatment plant produced 3.79 million gallons, while the Hatcher water treatment plant produced 9.38 million gallons. From March 15 through March 21 of this year, water production was recorded at 13.43 million gallons. US Drought Monitor April 9, 2019. West Drought Monitor April 9, 2019. Colorado Drought Monitor April 9, 2019. By the time of this map’s release, a powerful storm will be impacting much of the U.S., bringing heavy rain and mountain snow to the West; blizzard conditions, flooding rain, and severe weather to the Plains and Midwest; and showers and thunderstorms to the South. Behind the storm, parts of the Southern High Plains in Texas and New Mexico will experience fire weather conditions as very dry air and high winds affect the region. As the storm progresses eastward, parts of the Northeast are expected to see rainfall by the end of the week. Another system moving towards the West Coast this weekend is expected to bring low elevation rain and mountain snow to the Pacific Northwest and Intermountain West over the coming week. If the forecast verifies, next week’s map could see additional improvements to drought areas in the Northwest and South. 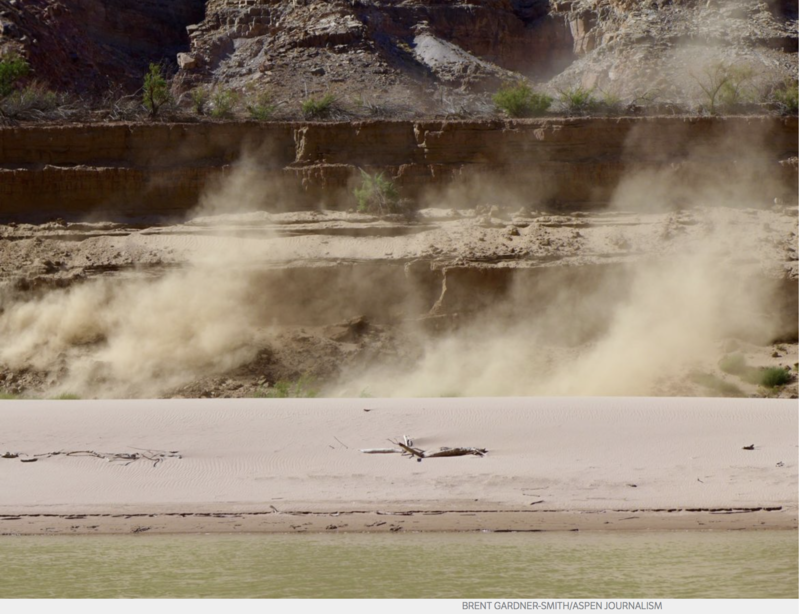 Colorado River Basin High/Low graph April 10, 2019 via the NRCS. Nonetheless, there is plenty of reason to enjoy the bounty of this year’s anticipated runoff.